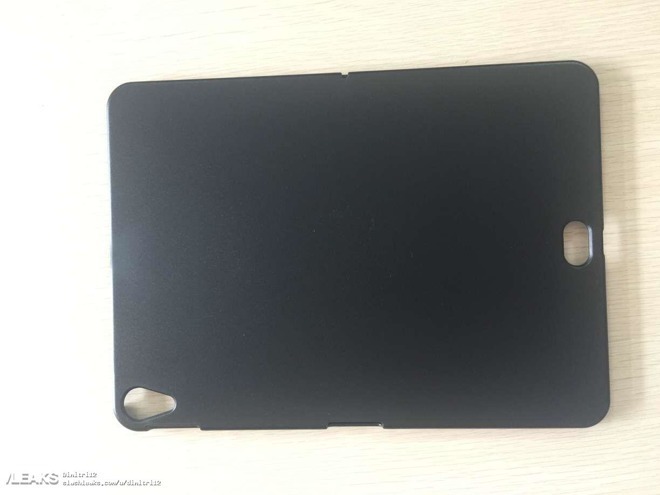 A supposed leak has surfaced, showing a new case allegedly designed for refreshed iPad Pro models, with the internal shots of the plain case appearing to have a new cut-out on one side that could be used for the rumored relocated Smart Connector. 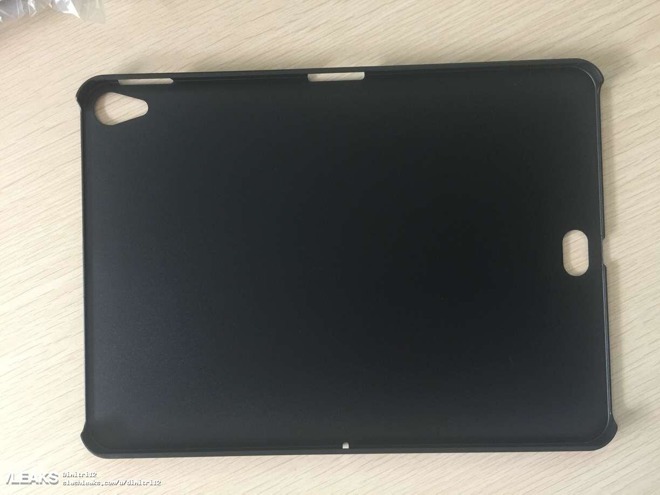 Two similar photographs published by Slashleaks show a large rear cover, most likely produced from plastic, that contains all of the openings on the edges for the assorted buttons and other elements that appear on the sides of an iPad. Along with the other holes is an extra opening, located near to where the Lightning port at the base. The oval opening isn't explained in the leak, but its shape, size, and position appears to line up with an earlier leaked CAD image from July. The supposed render of the refreshed iPad Pro showed an identical pill-like shape in close proximity to the Lightning port, slightly recessed from the surface, with little explanation for what it was. Another report in the same month claimed the Smart Connector would be moved from its current location on the side of the iPad Pro to the "lower rear side," close to the Lightning connector. It is unknown if today's leak is genuine, as it pertains to an accessory for the device rather than the device itself. While accessory producers can sometimes get tipped off about designs by device producers ahead of a release, it is also possible that the case vendor who produced the cover relied on earlier leaks about this mystery connector. Additionally, the existing Smart Connector is a surface mount, with nearly no ability for a keyboard to connect to it, given the thickness of a protective case. If this case is accurate, there would have to be some redesigns to the spec or connectors to allow for that gap that would be induced by the case material. Expected to ship sometime this fall, the 2018 iPad Pro models are speculated to have a smaller footprint but retain the screen size, bringing it closer to an iPhone X with an edge-to-edge display. Touch ID would be removed in favor ofFace IDand the screen notch, as well as suggestions it would also eliminate the headphone jack.